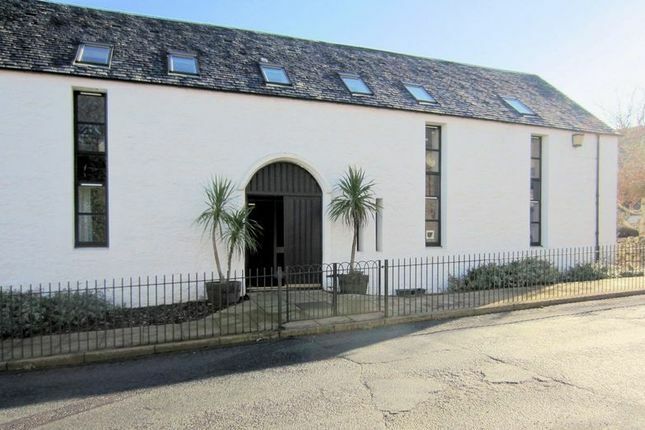 re/max Skye is delighted to present to the market Flat 2, Old Church Court, a charming and spacious two level apartment situated within a B listed converted church building in the highly sought after village of Plockton. This well-presented 2 bedroom (1 en suite) property enjoys views to Plockton Bay and the mountains beyond and would make an ideal holiday escape or letting property. Call re/max today on to arrange your viewing appointment! location: The picture postcard village of Plockton is located on the seaward side of Loch Carron nestled around a sheltered harbour with palm trees lining the village thanks to the warmer climate provided by the gulf stream. The area is an excellent base for outdoor pursuits including walking, cycling, climbing, golf, kayaking and sailing to name but a few, Plockton is also a world famous tourist destination with award winning bars and restaurants offering great local produce and wonderful entertainment, year round. Amenities include both primary and secondary schooling, newspaper/gift shop, Post Office, general store and train station. A wider range of facilities are available close by in Kyle of Lochalsh, approximately 6 miles away. accommodation: Situated in a converted, listed church circa 1837 and subject to conversion in 1996, An Aird benefits from upside-down accommodation with the living area on the upper floor to take in views to Plockton Bay and the mountains beyond. Heating is by way of electric off-peak storage and panel heaters. Access is via communal slabbed entrance from Innes Street. External maintenance costs are split equitably with neighbouring properties. Flat 2 is currently a successful self-catering apartment, , more details and figures are available on request. Entrance to this and 4 other apartments is via a roomy communal entrance hall. Bath, pedestal wash hand basin, WC, partial tiling to walls, extractor fan, electric panel heater, vinyl flooring. Corner shower cubicle, pedestal wash hand basin, WC, extractor, vinyl flooring. Window to rear elevation with secondary glazing and sea views, double built-in wardrobe with sliding glass doors, electric panel heater, fitted carpet. Garden: To the rear of the property is a small communal garden and parking area, one car parking space being allocated to Flat 2. Extras: Included in the sale are all fitted floorcoverings, integral appliance, fridge/freezer and washer/dryer, other items may be available by separate negotiations. Viewing: Viewing of this property is essential to be fully appreciated. Viewing can be arranged by calling Christine Brett on or by e-mailing . Offers: Should be submitted in proper legal Scottish form to re/max Skye Estate Agents, Main Street, Broadford, Isle of Skye, IV49 9AE. Fax no.